No idea what this is all about? Read our il-informed opinion here. This wasn’t how the grand plan to overthrow the empire was supposed to go. 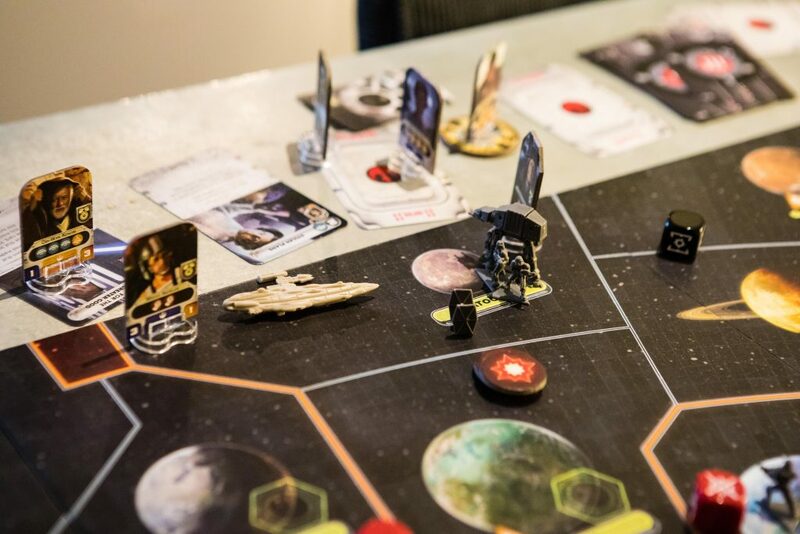 It all started so well: during setup, Rebel commanders take pains to shore up the out-of-the-way but tactically useful shipyards of Mon Calamari (Admiral Ackbar’s home planet, don’t you know). 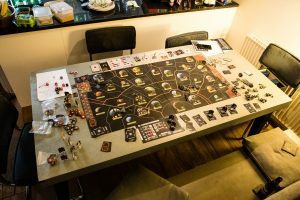 The game plan is to get hold of some of those whopping great space cruisers that crop up at the end of Return of the Jedi and achieve the unthinkable: a decent Rebel fleet. 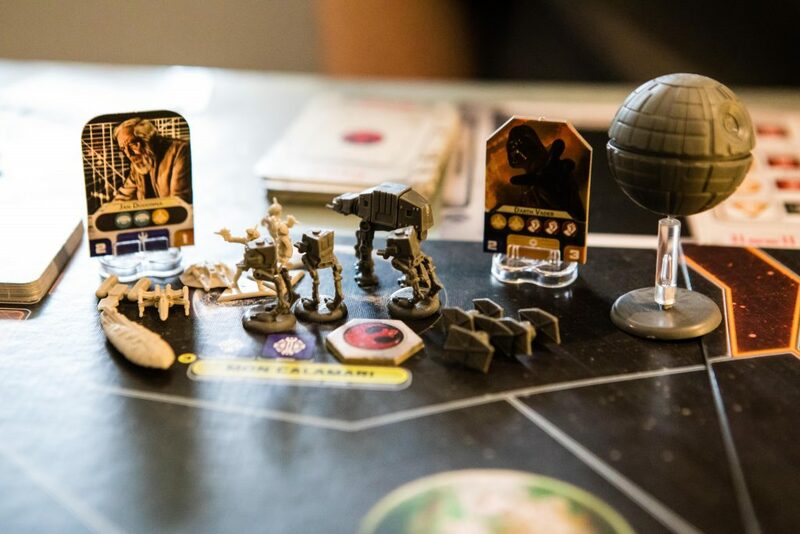 Unsurprisingly, when Darth Vader turns up for tea, he brings his Death Star and most of the Rebel forces (on the entire board) are wiped out with the Imperial’s very first activation. With one one solution realistically available to him, rebel hero Jan Dodonna takes the courageous option of legging it. Uttering the blood-chilling war cry of ‘run away!’ the few rebel forces left alive on the planet hotfoot it out of there aboard a battered, but still vaguely functioning transport, finding solace in the nearby system of Felucia. 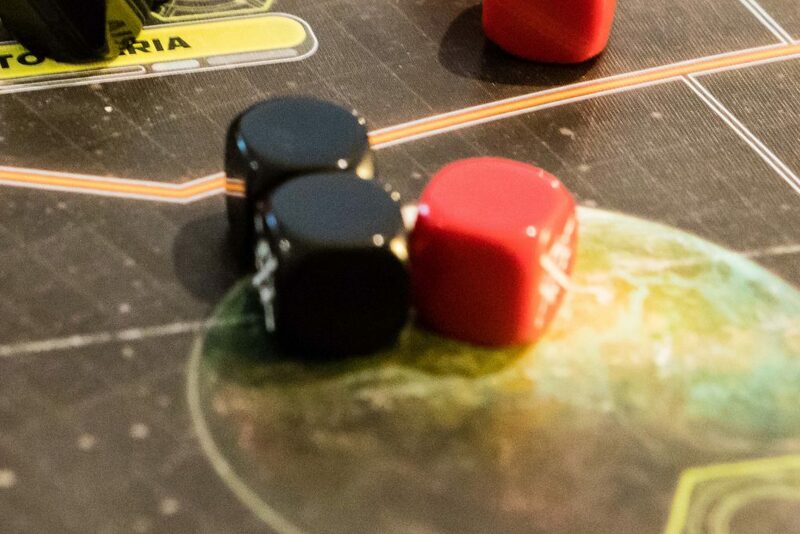 Oblivious to the wholesale massacre of his compatriots on the other side of the galaxy, the Rebels’ General Riekaan goes off sabotaging Imperial works on Sullust. General Tagge does something far more useful for the Empire, however, swooping in to detain Mon Mothma in the Utapau system while she is off garnering support for the cause. 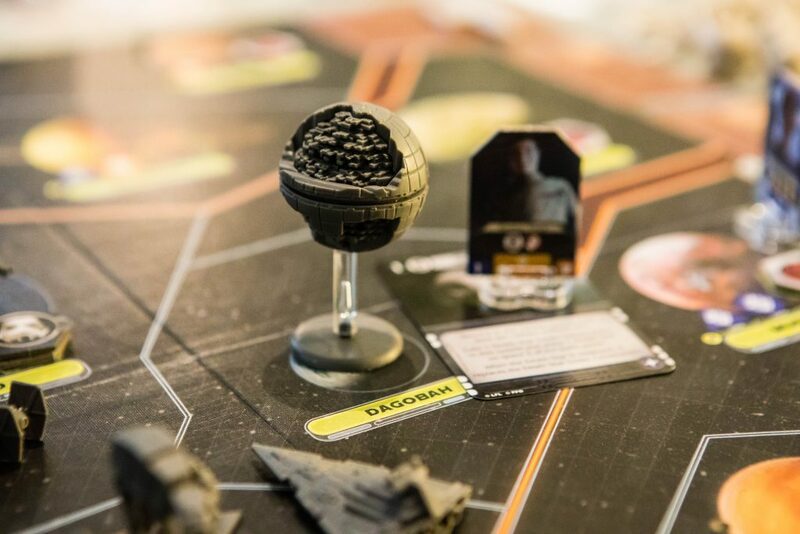 The game moves swiftly on, with the Death Star, now under the leadership of General Veers, merrily continuing its leathering of the few rebel troops left at large. The only unit to survive its first assault is that unarmed transport… it just doesn’t survive for very long. 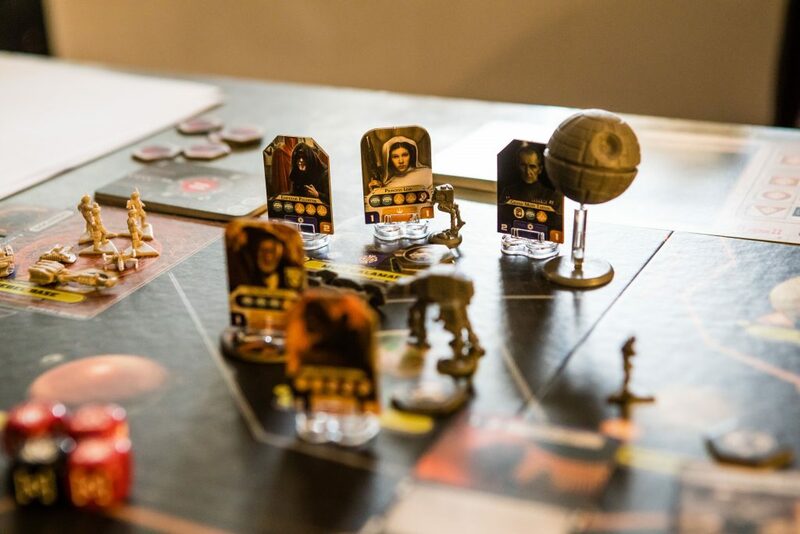 At this point the few Rebel troops on the board are huddled together in their hidden base, watching as the Empire subjugates system after system and vainly hoping it might remember its left the oven on at home and turn back. Back on Mon Calamari and there is barely time to breathe a sigh of relief and wave goodbye to the Death Star before Emperor Palpatine turns up and everyone has to go back outside for the mandatory welcome parade. Palpatine himself, all excited after kicking some puppies, promptly goes about crushing rebel sympathies before letting out a sigh of exasperation as Han Solo turns up to grin roguishly and blow up the garrison left behind by the departing Imperial forces. Somehow, Darth Vader, sent to capture Han, manages to completely flub his roll and the Rebels breathe a sigh of relief. 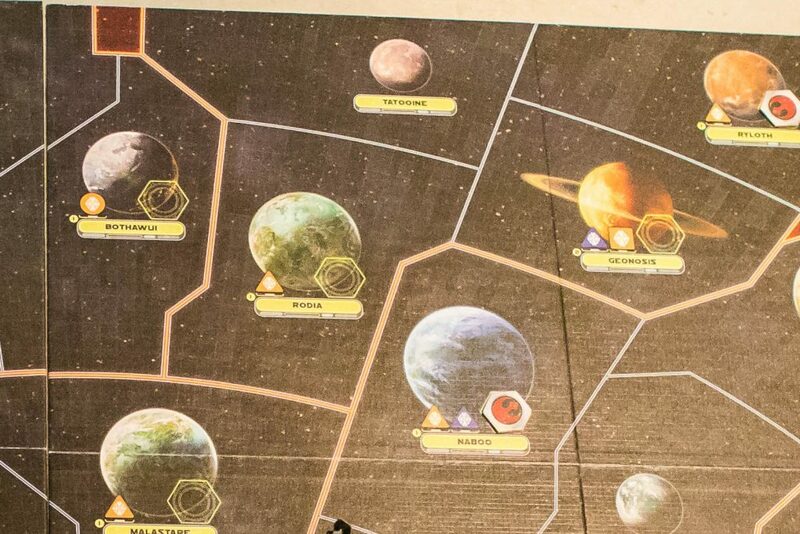 From here on out, things progress much as you’d expect, with a few hit and run attacks on Imperial worlds that achieve precisely nothing for the Rebels, and the inexorable rolling out of the Imperial fleet across the galaxy (who are getting progressively more enraged at not having the faintest idea where they’re hiding. The rebel base, meanwhile, is still on Tatooine.) Things are relatively cagey. That is, unless you’re on Mon Calamari, where it all continues to kick off. The Rebels REALLY want a big space pickle so Leia trots back over there to win some more sympathy when Palpatine forgets to close the gate as he leaves. The Empire are most definitely not having this, sending a non-CGI Peter Cushing back in to sort everything out with the Death Star. Vader, meanwhile finally succeeds in capturing someone: his old teacher Obi-Wan Kenobi on Felucia, only for Han Solo to swoop in and break him free in the Millennium Falcon. But what’s this? It’s a traaaap? 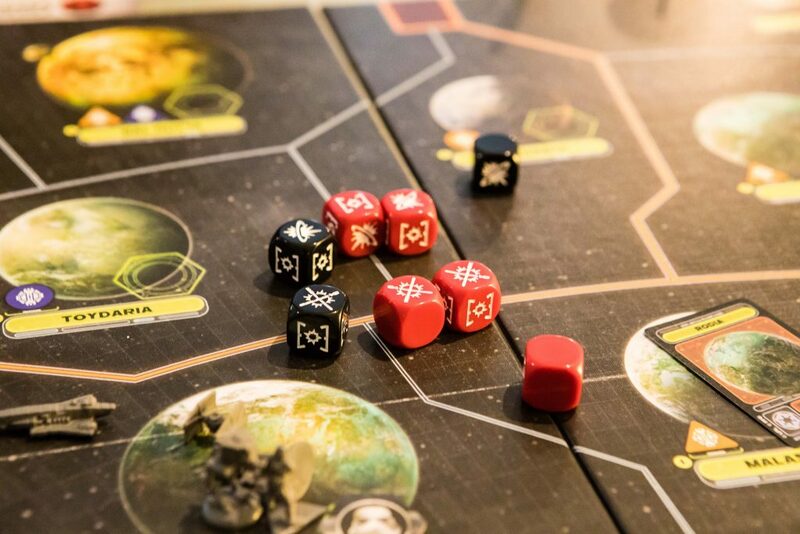 On the other side of the galaxy, the Rebels finally have their giant space pickle on the way thanks to making friends in Mustafar. But never one to crack a nut with a sledgehammer when a moon-sized laser death ball will do, the Empire promptly reveals that it has a second Death Star under construction just next door, over in the Dagobah system. Full moon… half built moon… total eclipse! 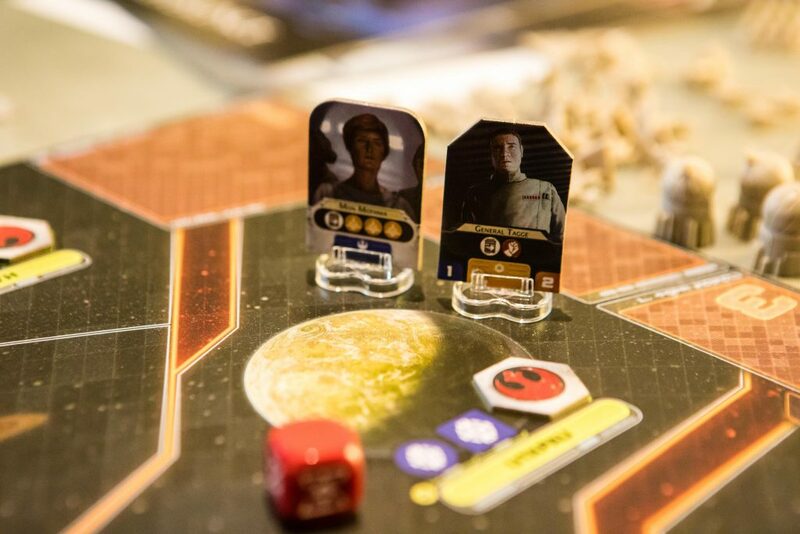 With support on guess where (yes, Mon Calamari) being taken away from them yet again, things are not looking good for the Rebels until Leia springs to the rescue once more. Proving yet again to be the Rebels’ MVP, she swoops in to save Han from the Emperor shortly before following Palpatine BACK to Mon Calamari and stop him from turning its support completely to the Empire. 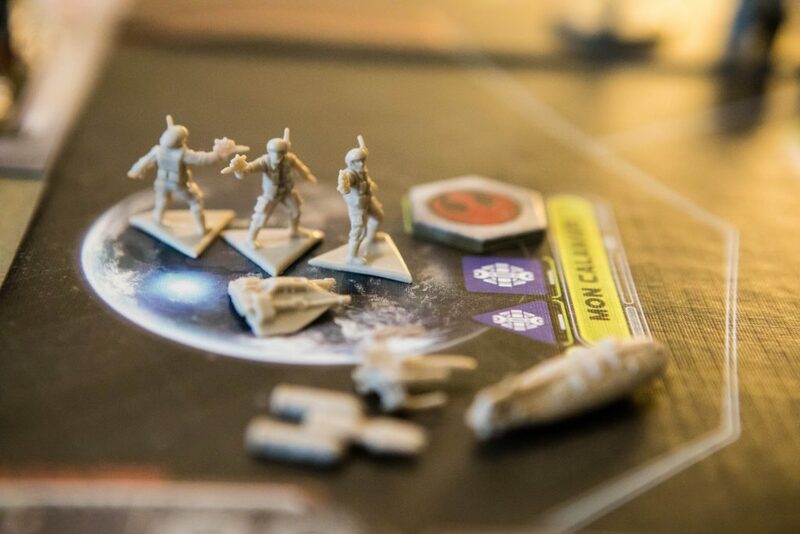 Despite these small victories, things still look bleak for the Rebels. The galaxy is awash with imperial troops, with Star Destroyers and AT-AT walkers knocking on Tatooine’s door (much like Heaven’s, only warmer, dustier, and with more womp rats). 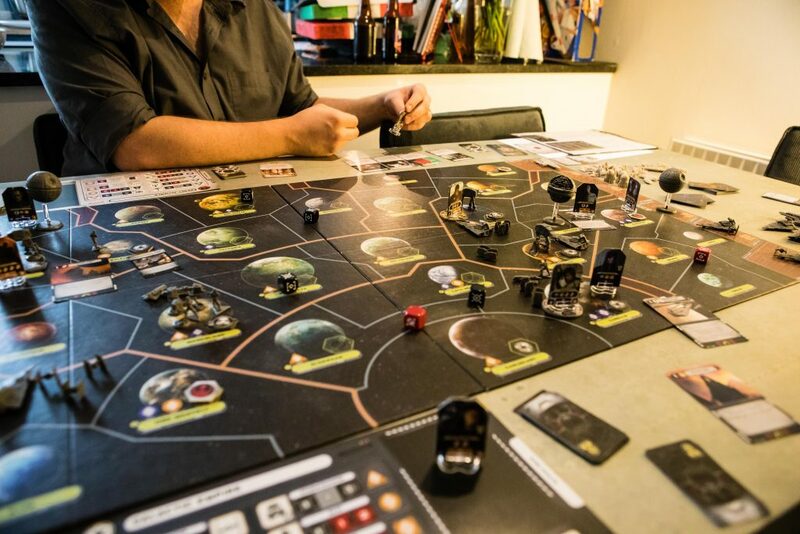 In a bid to show the galaxy that the Empire does indeed feel pain, the Rebel forces launch several audacious attacks. 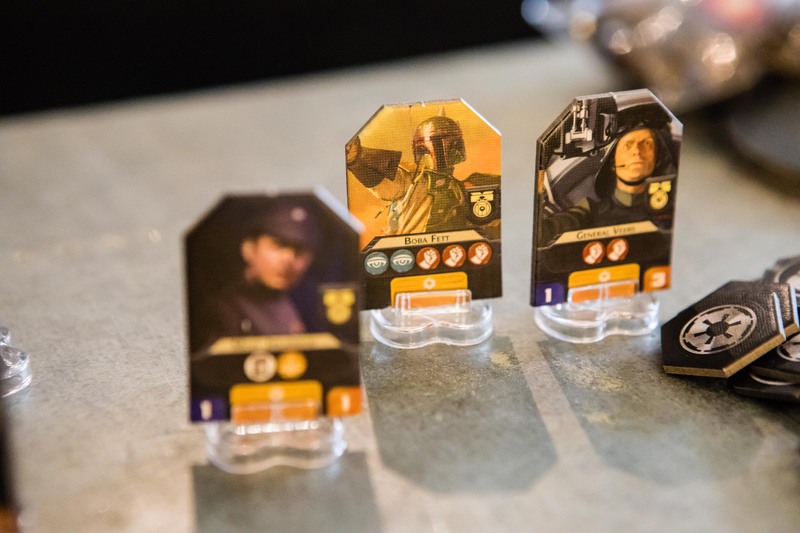 They reveal a fleet deep in the Empire’s heartlands, striking from hiding to occupy an undefended Coruscant, and almost at the same time, Admiral Ackbar launches an assault on the second Death Star, which is moments away from completion. 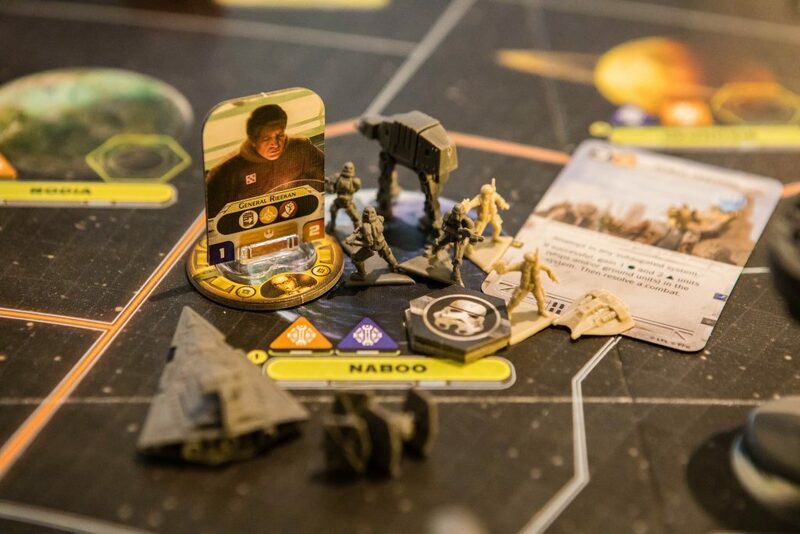 The Death Star goes down in flames but it’s still not enough to win the game – so in one last throw of the dice General Riekaan is sent to cause havoc on Naboo, rather than establishing a new Rebel base, further away from the approaching Empire fleet. General Veers – aka ‘The Butcher of Felucia’ – lands on Tatooine triumphantly, revealing what the Empire has suspected for a while, and catching the rebellion as it’s busy hanging out the washing. AT-AT walkers make short work of the troops on the ground, wiping out the ground installations utterly with little resistance. Palpatine isn’t there, but let’s imagine him cackling delightedly as his opponents’ precious rebellion looks to be on its last legs. 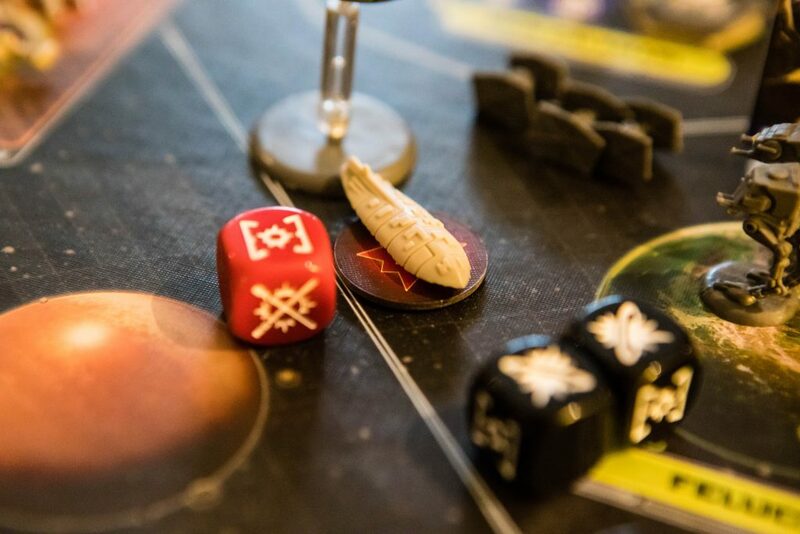 But it’s a different story in orbit where the Rebels’ hard won space pickle is dishing out the damage, helped enormously by frankly terrible rolling from the Star Destroyer. Swarms of TIE fighters wipe out the heavy Y-Wing bombers protecting the fleet but can’t do quite enough, and against all odds, the Star Destroyer goes down! Tatooine may be smoking rubble but the Rebel space pickle is still alive, valiantly fleeing to fight another day! 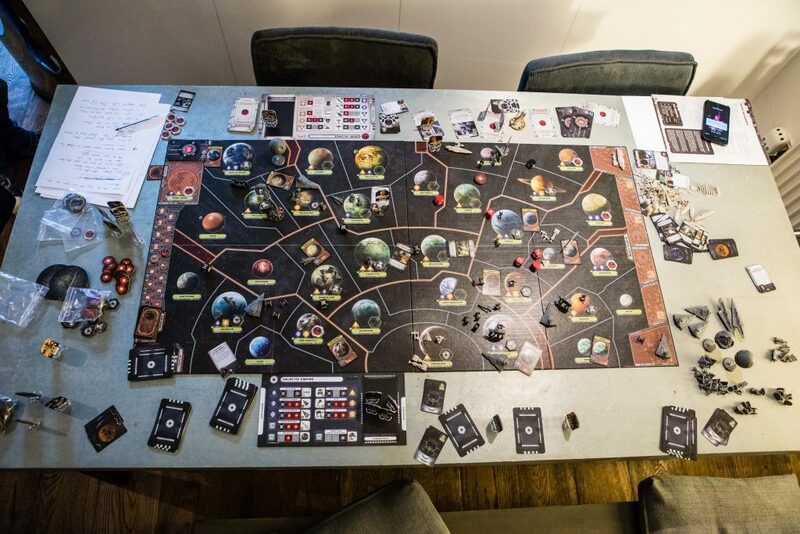 Fittingly enough, it’s the Mon Calamari space pickle that makes short work of the remaining TIEs before escaping, taking Rebel high command to safety as the timer runs out, freeing the galaxy from Imperial tyranny for good (well, until the new trilogy, anyway). The Empire snatches defeat from the jaws of victory to hand the Rebels a thoroughly undeserved victory. Huzzah! A Rebel victory! How on earth did that happen?